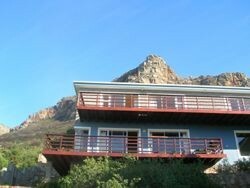 Located on the slopes of Muizenberg Mountain, halfway between Table Mountain and Cape Point, Bluebottle Guesthouse is the ideal getaway from the hustle and bustle of everyday life. Enjoy a peaceful night's rest in our luxurious suites and a scrumptuous South African breakfast on the balcony, whilst breathing fresh mountain air and taking in stunning views of the bay. Whether you are visiting the Fairest Cape for business or pleasure, we will ensure your stay is a comfortable and memorable one. 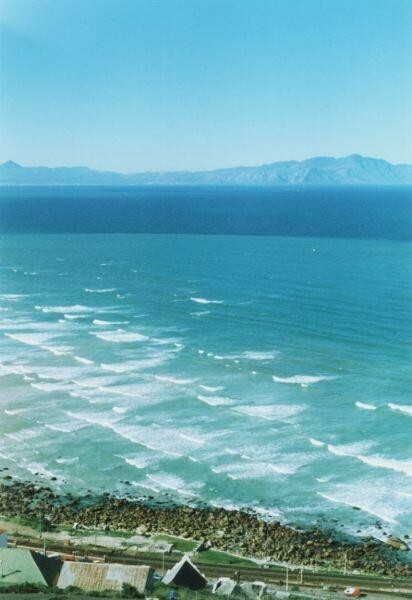 Floor to ceiling glass on two walls, gives you a breathtaking panoramic view from Cape Point across the entire bay to Cape Hangklip on the opposite shore, creating a tranquil ambience in which you can relax and unwind. Wooden floors run throughout the house, complimented by wonderful antique peices that grace the hallways and living areas. Each of our 5 rooms is individually decorated and spacious, furnished with comfortable king-size beds and orthopeadic mattresses for a good night's rest. All of them are situated on the upper level, and have direct access to the upper balcony through sliding doors. Whales can be seen from the rooms from September to November.